Our 8th biennial conference will be in July 2019 in Washington, DC. We can't wait to gather again to meet, share, and learn in this exciting and historic location. Registration is open and available at the links below. Conference registration will close on July 1st. Hotel reservations should be made by June 7th to receive the group discount, but the earlier the better to ensure availability and to give the opportunity to add more rooms to the group block if needed. Our agenda page has a list of confirmed speakers and topics and a preliminary agenda. ​Please continue to check back for updates. 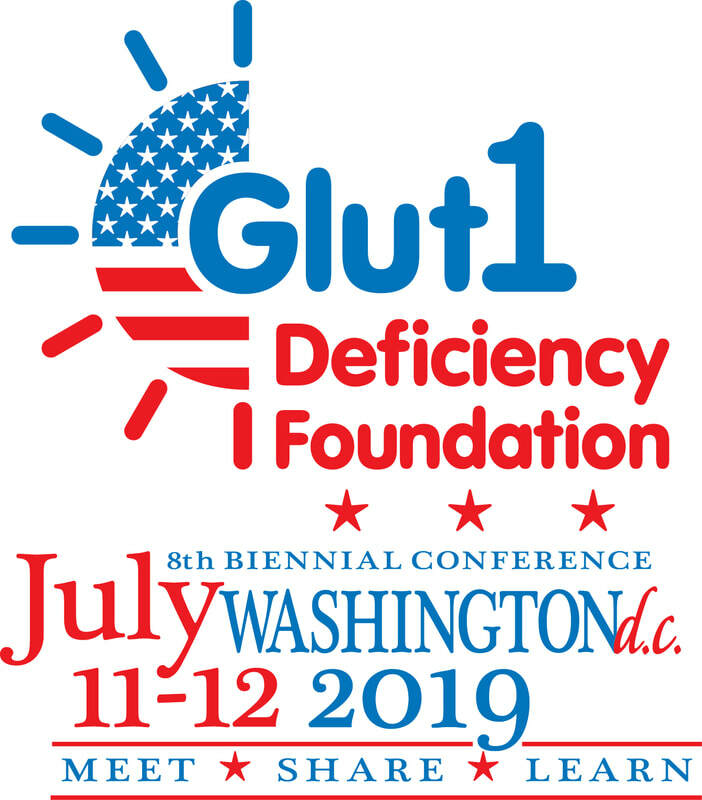 We are planning special sessions to dig deeper into better understanding the adult experiences in Glut1 Deficiency. We are very excited to share that we have been awarded a grant to help provide this special programming, and adult patients will be eligible for a travel stipend to help offset the costs to attend the conference. Please visit the adult patient information link below for more information. The conference venue will be the Hilton Crystal City in Arlington, Virginia, which is conveniently located to Reagan National Airport (DCA), the Metro, many restaurants and shops, and all the sight-seeing that Washington, DC and the surrounding area has to offer. The special room rate of $159 nightly will be available for 3 days before and 3 days after the conference. Reservation links and additional hotel details are available below. Are you interested in sponsoring or exhibiting? We have options for commerical companies, nonprofits, and also families who would like to help sponsor one of our speaker's travel expenses. Please follow the sponsorship link below for more information. Find out what some of the attendees had to say about their experiences at our last conference here.